• Created backups are incremental and use hard links to the original files, allowing each subsequent backup look as a full backup, but take less additional space. • Create incremental backups to a disk image. • Data backup easily handles large backup size. • Set up disk image encryption. • The app can automatically delete older backup versions to save space. • Create full and incremental backups. • Backup compression reduces the size of the resulting backup archives by 10-60%. • Password protect your archives using one of the encryption methods (AES-128, AES-256, Blowfish or Triple DES). • Write your archives to CD or DVD without using third-party applications. • The ability to create multi-volume backups lets you write large archives to multiple CDs or DVDs as well as quickly upload them to servers via the Internet. • Utilizing standard UNIX technologies allows you to restore backup archives on any computer, without Get Backup Pro installed. • One-way or two-way synchronization. • Analyze functionality allows to quickly define which files or folders will be synced. 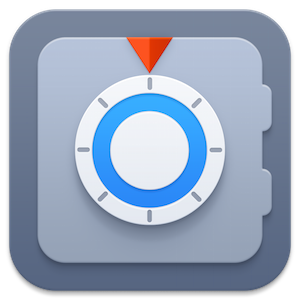 • Use the Cloner to create bootable backups to get back to work after a crash with absolutely no delay. • Backup incrementally after the first initial cloning to save you time and disk space. • Clone any disk volume whether it be a system disk or a volume on external hard drive. Both APFS (Apple File System) and HFS+ (Mac OS Extended) are supported. 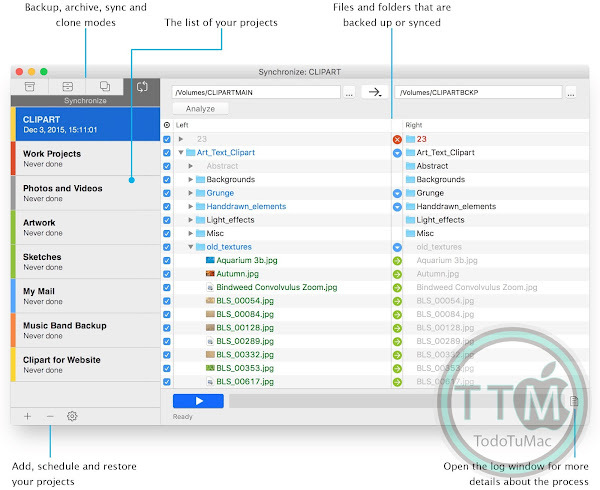 • Create multiple backup/sync projects with different schedules. • Start process (backup, cloning, etc.) when mounting an external drive. This new option can work in conjunction with the option to run on a schedule. • Supports auto-mounting network volumes (sources and destinations) and unmounting them when a backup is completed. • Restore files back to their original place, or to a location of your choice. • Templates for Apple Photos, Mail, iTunes, Contacts and the Documents folder. • Exclude selected files and folders from a project list. • Exclude files from the backup/sync by name and/or file type. • Brief and detailed logging of the processes. • System Notification Center supported. • Fixed the ability to create incremental backup on the program start with admin privileges. • Imbedded rsync-utility was updated to version 3.1.3. • ‘Exсlude by pattern’ field in project properties now allows for manual entering of the pattern. • Multiple other fixes and improvements.